The Energie Thermodynamic Hot Water can provide 100% of your household’s hot water needs. For just £150 per year, you get hot water 24 hours a day, 365 days a year, no matter the weather. 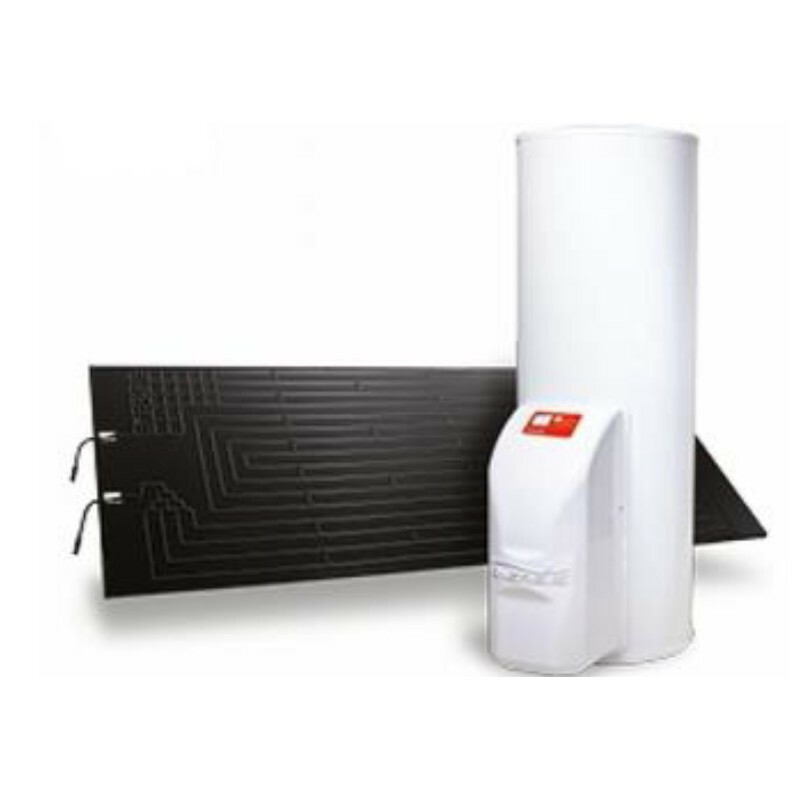 Save massive fuel costs with the Energie Thermodynamic Hot Water System today. Energie, a Europe-based manufacturer, is a global leader in the thermodynamics market and has been supplying this amazing hot water technology for more a decade in over 27 countries of the world. Compatible with both vented and unvented systems, meaning your house will almost certainly be compatible. Thermodynamic Panels significantly reduce carbon emissions and can be fitted anywhere. A thermodynamic solar panel is a type of air source heat pump that uses a flat plate collector instead of a large fan to take energy from the air. This means the system gains energy from the sun as well as the ambient air. Thermodynamic water heaters use a compressor to transfer the collected heat from the panel to the hot water system using a refrigerant fluid that circulates in a closed cycle. A thermodynamic system works by sending a very cold liquid refrigerant around a panel on the outside of a property. The temperature of the liquid is approximately -22°C when it enters the panel. As the liquid flows through the veins in the panel it absorbs heat energy from the air surrounding the panel. This is where the term Thermodynamics comes from, as it is a scientific term used to explain heat energy and its movements. The liquid refrigerant will vaporise into gas once its temperature reaches approximately -15°C. This is more commonly known as its boiling point. The gas exits the panel and is circulated back to a compressor inside the thermodynamic unit. The compressor’s job is to compress the gas and send it under pressure through a heating element or plate. When a gas is compressed, it gives off heat energy. The heating element is a way of distributing the heat into the water store. Once the gas has lost its heat it exits the element and passes through an expansion value, which releases the pressure. This drop in pressure and loss of heat energy means that the gas condenses back to a liquid for the cycle to begin again. The technology of the ENERGIE Thermodynamic Systems is based on the principle of French physicist who discovered thermodynamics – Nicolas Carnot. Thanks to him, Thermodynamic Solar Panels are capable of capturing the heat from the sun, or even from the rain and wind, 24 hours a day, 365 days a year. One of the outstanding aspects of this technology is that an ecological fluid at freezing point circulates through the solar panel, allowing a greater uptake of the solar energy and higher absorption of the environmental energy, which is then released to the water through a heat exchanger. Thus, ENERGIE’s Thermodynamic Panel surpasses the limitations of the traditional solar panels, making it the most efficient way to heat water. Browse through our thermodynamic solutions and find one that suits your household. This is the basic solution. It works with both vented and un-vented system and is ideal for households that have a water tank already installed. The solar box retrofits to the existing tank, and depending on factors such as the number of bedrooms/bathrooms/occupants, comes with a single or a double panel. Book a FREE ASSESSMENT to find out more. This solution is designed for households with an outdated water tank that needs replacement. 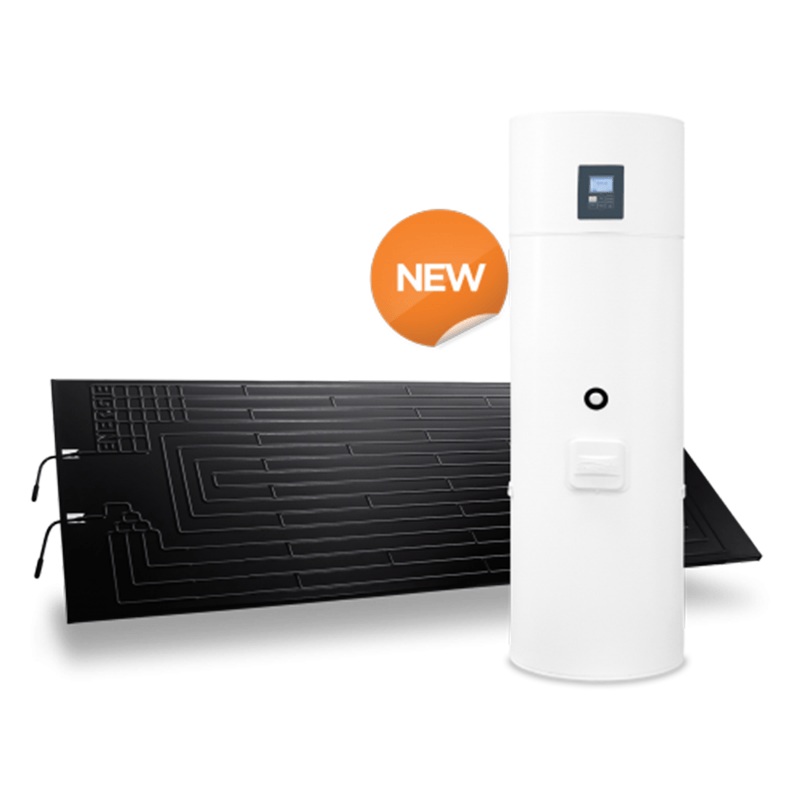 The solar box consists of a new energy-efficient water tank and the solar box. The Eco Top Range is designed for households that use a combi boiler, where theirs is no tank installed. 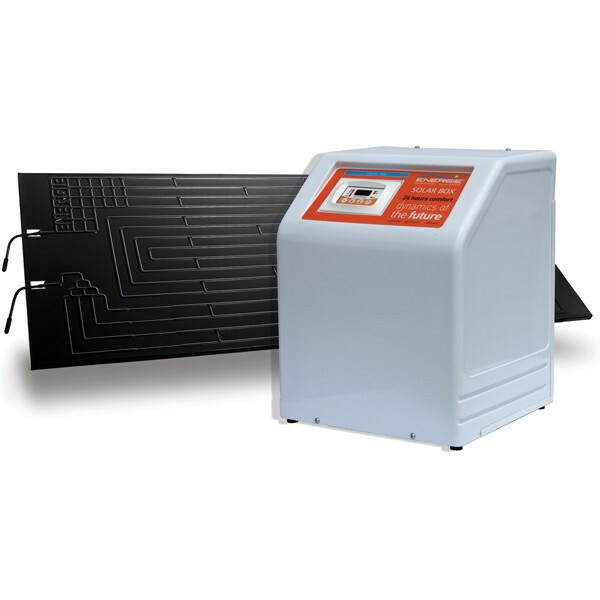 This solution comes with the Solar Box and an energy efficient water tank under one product, and is an upgrade from both the Solar Box and the Eco Top range. The installation of Thermodynamic Hot Water Systems in England and Wales is classified as “permitted development”, which means that no planning permission is required. The average investment return for Sanitary Hot Water equipment is about 4 years. Your energy bill will be significantly reduced by hundreds of Pounds every year. Is the Energie equipment approved and certified? Yes, all our equipment follows the European standards of quality and is MCS accredited (Microgeneration Certificate Scheme). Yes it does. The equipment has a function that allows the tank’s temperature to be raised which in turn purifies the water. The entire system can be installed in less than 1 day. Is this an ecological product? Everyone can make a difference. Installing a Thermodynamic System is a step in the fight against global warming. With our system you can reduce your home’s carbon emissions, thus helping to preserve the environment for the generations to come. An investment in a solar system for the heating of sanitary water will ensure that homeowners will benefit from this type of clean and free energy in the years to come, regardless of the increase in prices of fossil fuels. How many Energie Thermodynamic Panels are needed to heat sanitary hot water in a five-person household? For a family of five people 1 or 2 panels are needed, depending on the equipment which has been installed, arrange a free assesment to find out exactly. Will the Energie Thermodynamic System add value to my property? We have included a press release from GOV.UK below.